Wrap-Up Magazine: Is Rapper Zed Zilla Still With CMG? Is Rapper Zed Zilla Still With CMG? 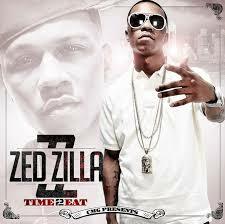 The Rapper/Native from Memphis, Tenn name Zed Zilla as a known rapper with Yo Gotti's label Cocaine Music Group. Even though recently the fans been wondering is he still making hits or mixapes the last that he put out was Rent Due 3 and Time To Eat 2. An exclusive interview on Noise In Memphis speaks on the updates of Zeds status. Noise In Memphis exclusive speaks on the facts.